Based in the Los Angeles area of Woodland Hills, The Law Offices of Dale K. Galipo aggressively pursues cases of police misconduct throughout the state of California. As a well-known and highly respected advocate for civil rights, Dale will not stop fighting for his clients who have been wronged by police. Our law firm will take on law enforcement and the establishment in order to pursue remedies and recovery when your civil rights have been violated. We know that any damages you collect will not make up for what occurred, but we work hard to hold those responsible to account for their actions that violate the law and the Constitution. The Law Offices of Dale K. Galipo has a proven track record of success pursing civil rights violation cases involving law enforcement. 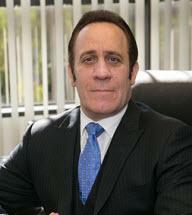 Lawyer Dale Galipo will meet any challenge and never stop fighting for justice on your behalf. You do not have to put up with the abuse or accept a violation of your civil rights. Take action by retaining an experienced civil rights attorney. We do not recover unless you do and we offer a free initial, no-obligation consultation.